Bonefish Point as seen from West Harbour Bluff. 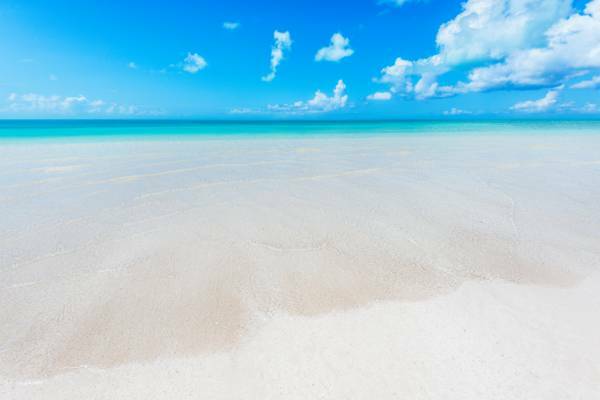 This beach is undeniably beautiful, yet it’s one of the most remote spots on Providenciales. Sloop wreck at Bonefish Point, Turks and Caicos. 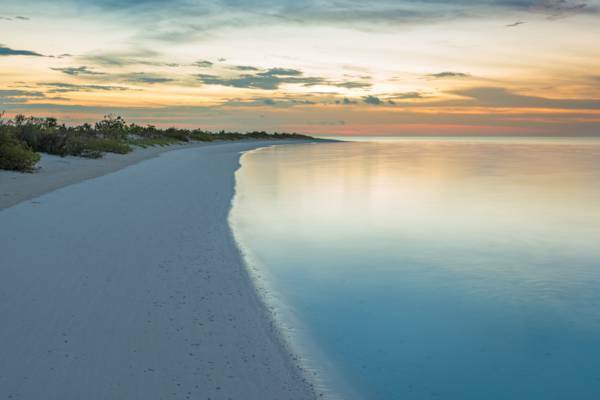 Bonefish Point is a remote and scenic sandy peninsula on the southwestern end of Providenciales. The area is surround by shallows and wetlands, and is part of the Frenchman’s Creek and Pigeon Pond Nature Reserve. 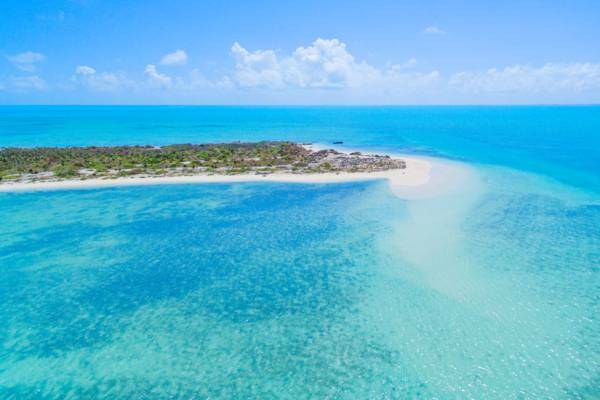 The south-western corner of Providenciales, typically referred to as West Harbour Bluff, hides a wealth of incredible landscapes and secluded beaches. In addition to the tranquil sand spit at Bonefish Point, there are and several excellent beaches between Bonefish Point and West Harbour Bluff. The Pirate’s Cave and Split Rock features at West Harbour Bluff are also in close proximity to Bonefish Point, and offer historical rock inscriptions and unique fossilized conch geological features. Frenchman’s Creek, which includes West Harbour Bluff and Bonefish Point, is a haven for a spectrum of bird and marine wildlife. The shallows surrounding Bonefish Point are excellent for spotting nurse sharks, lemon sharks, southern brown stingrays, turtles, conch, and starfish. Birdlife sightings include an interesting array of tropical dry forest and coastal birds. It varies a bit by season, yet it's typical to spot long-tailed tropic birds, brown pelicans, Antillean nighthawks, American kestrels, mangrove cuckoos, yellow-bellied sapsuckers, blue-gray gnatcatchers, bananaquits, and Bahamas woodstar hummingbirds. The beach at Bonefish Point, Providenciales. As Bonefish Point is part of the Frenchman’s Creek and Pigeon Pond Nature Reserve, fishing and the gathering of conch and lobster is prohibited. Violators may face significant fines or imprisonment. 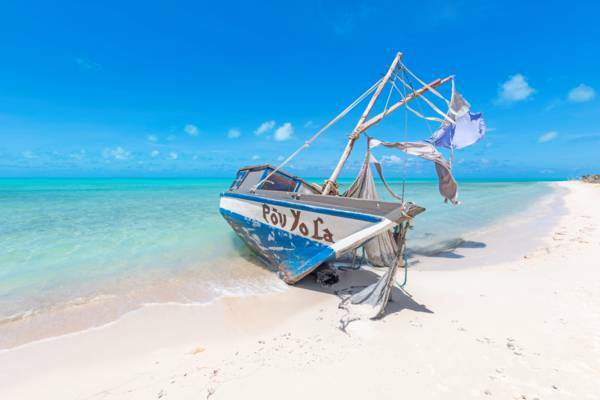 For information on legal shore fishing locations on Providenciales, see DIY Shore Fishing. Frenchman’s Creek is a protected and sensitive environment, so please do not drive off road. The salinas, salt flats, and beaches in the nature reserve are easily damaged, and can take decades to recover from errant vehicle use. As is the case with fishing illegally, violators may face fines or imprisonment. Aerial view of Bonefish Point, Providenciales. Bonefish Point is one of the more remote locations on Providenciales, and can be difficult to find. For these reasons, it generally best to visit with an experienced guide. 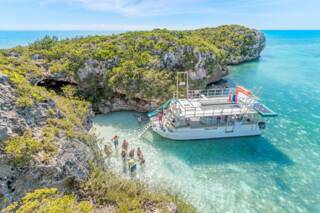 Several boat charter excursions visit the West Harbour Bluff and Bonefish Point region of Providenciales on their western side tours, which usually visit spots such as Turtle Rock and the Pirate’s Cave at Split Rock as well. If you’d rather discover the area on your own, it’s best to take a 4x4 high clearance vehicle, as the road out can be quite rough in areas. Follow Tom Lightbourne Road, which is found off of Millennium Highway in the Blue Hills and Wheeland area. Tom Lightbourne Road is initially paved for the first mile, and then becomes a poor condition two lane dirt road. Continue on this road for 6.5 miles (10.5 km) to its conclusion at West Harbour Bluff. Near the end of Tom Lightbourne Road, a small single lane track leads off the road north through the wetlands to Bonefish Point. If you continue on this track, it’s very important to stay on the track as it’s very easy to get stuck in the treacherous mud in the surrounding wetlands. Bonefish Point is about a .75 mile (1 km) walk along the beach from West Harbour Bluff. As is the case with all remote areas on Providenciales, Bonefish Point carries a higher crime risk due to its isolation. See Safety and Crime. Discover Bonefish Point, West Harbour Bluff, Pirate's Cave, and more on a amazing excursion with Ocean Outback Adventures.